Head and shoulders portrait of Antoine-Laurent Lavoisier, head inclined to the left as viewed and looking off to distance. He wears buckled wig and is dressed in a single breasted coat with cravat. 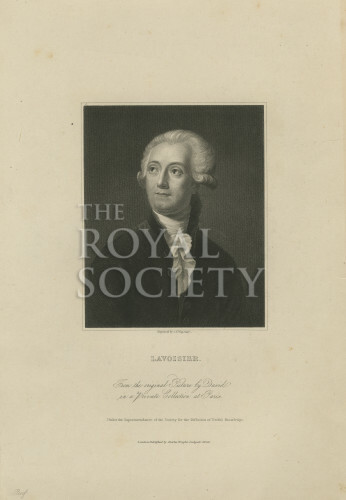 Antoine Lavoisier was elected a Fellow of the Royal Society in 1763.